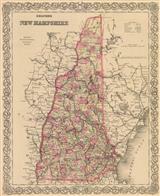 Description: Early state map of New Hampshire based on Samuel Lewis and engraved by H. Tanner. Description: New Hampshire. 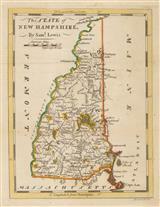 Important early American map of the state. Coloured. 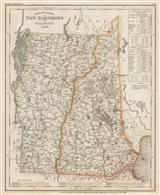 Description: New Hampshire and Vermont. Detailed map. Original colour. 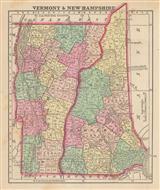 Description: New Hampshire and Vermont. Original colour. 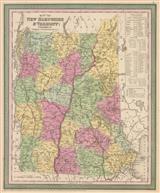 Description: New Hampshire and Vermont. Railroads. Coloured. 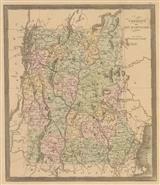 Description: State map. Shows counties. Original colour. 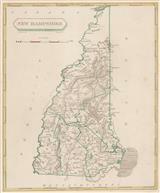 Description: New Hampshire and Vermont. Original printed colour. Description: New Hamshire and Vermont. Decorative borders. Original colour. 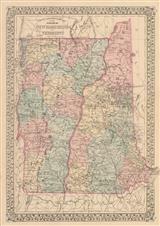 Description: State map with inset of White Mountains and Granite Quarry. Original printed colour.